People who work or volunteer in mental health services in the St. Louis area are plenty worried, with good reason. Because of Missouri’s budget shortfalls and huge bureaucratic tangles, funds and services for citizens with mental illness have shrunk to crisis proportions. This problem is hard to untangle because it involves the Missouri Department of Mental Health, numerous local hospitals and community health centers, providers both public and private, and – looming above all else – the closing of Metropolitan Psychiatric Center (MPC) for emergency room services and acute patient beds. 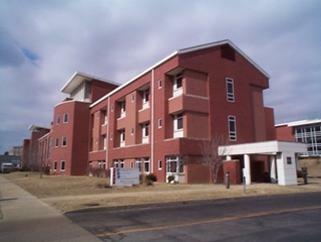 MPC was our state supported adult psychiatric facility in the St. Louis area. For those who are interested in reading about the closing of MPC, look at Jeannette Cooperman’s excellent article, “Losing It,” in the November, 2010 issue of St. Louis magazine. To take a simpler look at the current mental health dilemma without wading through dozens of acronyms, let’s see what happens to one individual with mental illness, not a real person, but a young man who is a composite of those affected, whom we will know as James. James had the usual ups and downs in high school, but graduated successfully. His freshman year of college was problematic, although he was still living at home and attending a community college. At the start of his second year, he had to withdraw because of missed classes, failing grades, fears, irregular sleeping, and angry outbursts with family, friends, and classmates. He voluntarily withdrew. For the past year he has lived with his mother, who is increasingly worried and fearful about his future. Now 20, he has no medical insurance and has lost several jobs. He spends most of his days sleeping, staying alone in his room, talking to unseen people and walking the streets when he cannot sleep. His family suspects he is abusing alcohol and recreational drugs but is afraid to confront him about it because of his outbursts. When questioned about his substance use, he leaves home for days at a time. Twice he has been taken to emergency rooms by police. Admitted for a day or two, he has been given a small number of anti-psychotic pills, different drugs each time. Anti-psychotics can stabilize someone with psychosis, but they should only be used when a diagnosis is established and when the patient can be carefully monitored, particularly in the beginning. His mother wants him to apply for Medicaid (in Missouri called HealthNet), but without some diagnosis of mental illness, he is not eligible. They have called Hopewell, the community mental health center in their area, but have been told that he cannot get intake without Medicaid. They have called the Helpline at the local office of the National Alliance on Mental Illness for advice, and been told that their son needs a psychiatric evaluation, a diagnosis, as a first step to getting treatment and possible services. The community mental health centers (Hopewell, BJC Behavioral Health Care, Crider, and Comtrea) have been set up to offer services to those with mental illness living in their areas, but by order of the governor in December 2009, all incoming clients must have Medicaid. Here’s the crunch for James and his family. He needs a psychiatric evaluation as a starting point for applying for Medicaid, but there is no agency that offers an evaluation to him at no cost, low cost, or sliding scale. If his mother could afford to take him to a private psychiatrist for this evaluation, (roughly a $300-400 charge), and if he would cooperate, he could get a diagnosis. At the moment, she is struggling just to make her rent and utility payments for herself and her three children. Meanwhile, James is in limbo, and he is highly unlikely to get better without treatment. If he becomes violent or threatening, his mother can call the police and have him involuntarily admitted, but that hospital, like the two previous institutions, is highly likely to discharge James in fewer than three days with a small amount of medication. Before Metropolitan Psychiatric Center was closed to acute care patients, James could have been admitted through the Emergency Room and kept long enough to get a diagnosis, his medication stabilized, and some social services put in place. Immediately upon his dismissal, the hospital would get him an appointment at one of the four community mental health centers, where he would regularly see a psychiatrist, get medication, counseling, case management and support for applying for Medicaid. But those days, unhappily, are over. Years ago, both St. Louis University and Washington University had psychiatric clinics that saw patients for psychiatric evaluations at a much lower cost than a private doctor. But they stopped accepting outside patients several years ago. If James lived in St. Louis county, which he does not, his family could call the Family Mental Health Collaborative, but none of those agencies currently has a psychiatrist on staff. He is unlikely to profit from counseling until he is stabilized on medication. James is young, intelligent and articulate, but mentally ill. He is fortunate in having a home and a mother who has tried her best to get him treatment. With the right diagnosis, medication, and case management, James might very well be a productive member of the community. But time is passing, and the untreated mental illness continues to do damage to his brain. His window of opportunity is not unlimited. Every person who cannot get help, like James, is a tragedy for our community, both now and in the long years ahead.